This Open Day is a great opportunity to see what goes on at HorseWorld's Welfare Department and talk to the grooms and trainers who rescue, nurse back to health, train and then find suitable homes for these wonderful animals. As a busy working farm, HorseWorld is not open to the public on a day-to-day basis but we hold Open Days throughout the year. 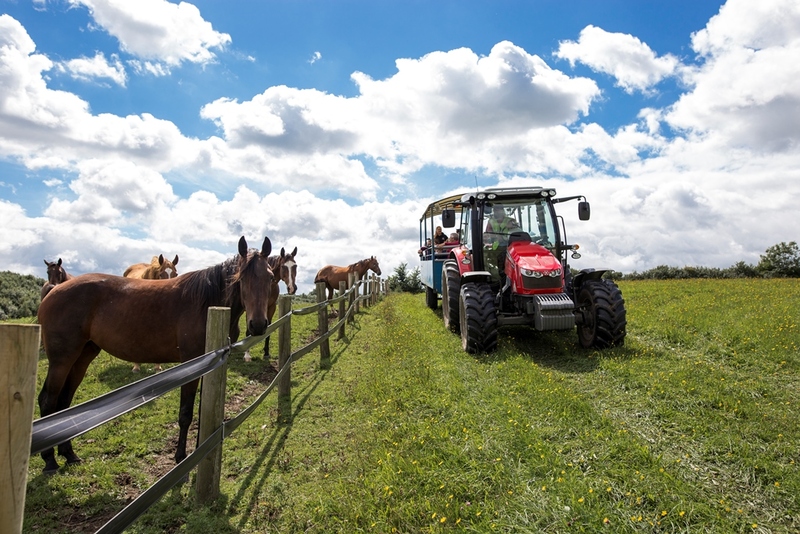 As well as the rehoming scheme, you will be able to find out about our adoption scheme for those who can't actually have a horse or pony of their own. (An adoption is a sponsorship of a horse that remains at HorseWorld) Those who adopt HorseWorld animals will be able to see them. If you don't already adopt an animal, there will be the opportunity to do so. This is a day that is open to everyone including children and disabled. There is just one nature walk that is not suitable for wheelchairs or buggies but everything else is easily accessible. You will be able to meet many of the rescued horses that are now fit and healthy and coming close to completing the process of rehabilitation. On an Open Day, we bring the horses that will cope with the hustle and bustle closer to the yard and we move the horses that wouldn’t cope to the far side of the farm meaning it is safe to open the yard and surrounding areas to all without causing unnecessary stress to the newly rescued or nervous horses. Weather permitting, we will be running tractor safari tours around the 180 acre farm (£3 a seat, children on laps free). There will be hot food, teas, coffees and cakes as well as HorseWorld merchandise available.Entry is free! Please consider popping a donation in one of the buckets towards our ongoing rescue work. If you are able to volunteer for the day, there are various roles available from helping with refreshments, helping on a fundraising stall or greeting people at the gates. Please call 01275 893030 or email sofia.carosi@horseworld.org.uk if you can help. Thank you. If you have any Tombola prizes, unwanted gifts or bric-a-brac items you'd like to donate for this event, we'd be very grateful. We are also looking for homemade cakes to sell on the day please. No dogs please. Except guide and assistance dogs. This is because many of the rescued ponies in the yard that day have not completed their rehabilitation yet and are not used to being around dogs or may have previously had a negative experience with them. There will be the opportunity to go on a walking tour around the 180 acre estate to see the Isolation Unit and Nature Area (Uneven ground. Wellies strongly advised if it's been raining).